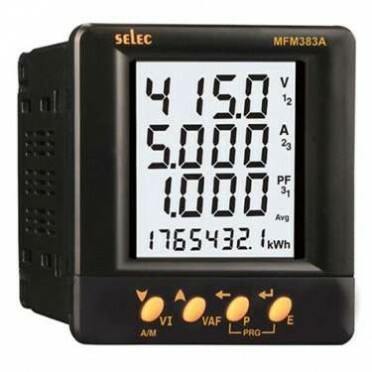 Features & Specifications :Supply Voltage : 100-240VDisplay Type : LEDDisplay Configuration : 3 .. Features & Specifications :Accuracy Class1.0 / (Class 0.5 calibration on Request).CT Pri/Sec Pro.. Features :Display : Single : 7 segment, 3 digit 0.56”, RED LED displayParameters : Volta..